就像鄒族神話裡那位能拔起一座山的偉大勇士巴蘇亞一樣，這位巴蘇亞在年輕時，也曾是位傑出的運動員。Pasuya is the brother of the former chief and is an important dignitary in Tsou society. Like his mythical namesake in Tsou legend (Pasuya, a mighty warrior, who was strong enough pull down mountains), this Pasuya was an accomplished athlete in his youth. He was a shotput champion and reputedly still holds the Taiwanese military record for the longest distance grenade throw. He also says he could lug over 200Kg of concrete with ease when working in construction. In addition to his renowned strength, he has a fine singing voice and has performed traditional Tsou music as far away from home as France. Loath to don his traditional garb just for show rather than during a ceremony or performance, I was lucky that he spontaneously decided to put on his bear hair hat, traditional pipe and shell adorned tobacco case (as the Tsou are a mountain tribe, shells were always considered precious as they come from the sea, which is so far away from were they reside). When typhoon Morakot – one of the severest in Taiwan’s history – ravaged the country in 2009, Lijia village was devastated and left cut off from the rest of the country. At that time, many died and property was destroyed. Pasuya did his utmost to rescue the Tsou’s ancestral treasures from the raging flood waters. Most of them still reside at his house today. Benedict Young is a freelance photographer with a passion for global culture and music. Born and raised in Bristol, UK – a city that is a heady mix of laid back West country England and Afro-Carribean and Indian culture – he grew up with creative and supportive parents and surrounded by culture, art and music. Aged 4, his family moved to Nigeria, where he gained his first experience of living abroad. From as young as he can remember, art and music consumed his every thought, which later developed into a passion for photography and music cultures around the world. Benedict visited Taiwan for the first time in 2008 with his wife, where he has found it fascinating discovering the culture of the country, which is virtually unknown in his homeland. 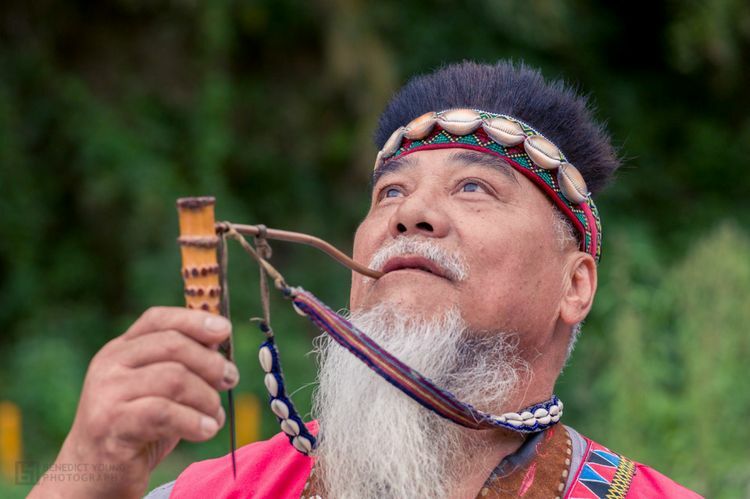 Recently, after becoming aware of the rich culture of Taiwan’s indigenous people he has started to focus his energies on making the beauty of Taiwan’s aboriginal culture more known worldwide.